Do you want to discover how conversational marketing works for your business? And, how chatbots can support and benefit your brand as well as your audience? In this article, which is part of a series of articles written in collaboration with Rebrandly, you’ll learn what conversational marketing is, understand the importance of it, and discover how it actually works on social media. See also the first two articles in this series: The Website Chatbot and Best Chatbot Uses for Business. Are chatbots and social media the perfect match? More and more marketers consider the use of chatbots on social media as a must-have rather than a nice to have. The bot efficiency in social media is already proven by the simple yet essential fact that it generates a more personal engagement with users. The good news: it’s not even all that difficult to create a chatbot for social platforms such as Facebook or Twitter for example. If you opt to use a smart chatbot to automate your customer service on social media platforms, you basically start gaining access to a bunch of advantages for your brand. The greatest benefit may actually be the fact that a chatbot will provide your customers with a smart assistant with the ability to communicate with them almost like a human consultant and it will progressively begin to get to know your customers and which of your products they are interested in. A great thing about adopting chatbot use in your company’s benefit is the fact that there are several pre-developed chatbots (that can still provide you with advanced features such as artificial intelligence, and also the ability to integrate into multiple social network channel) that you can make use of at a monthly fee. Although this type of technology can cost even thousands of dollars to thoroughly develop, pre-developed ones will only cost a fraction of the cost. Having a busier and fast-paced lifestyle, people are more and more interested in completing their shopping faster and easier. In fact, people are now able to choose to speak into their mobile device and order their favorite products or add products they consider buying to the shopping cart for later on purchase. So, this is just something you as a brand need to keep up with. Amazon Echo is a great example of this. Actually, research shows that 45% of all Amazon Echo users have used their mobile device to add an item to their shopping list at least once. 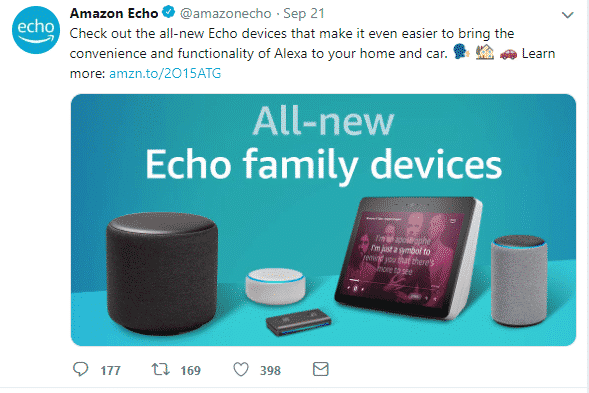 And with all the new Echo devices out there, now things become even easier to get the usefulness and functionality of Alexa in your home as well as the car. What more could you wish for, right? How many times have you found yourself in a situation where you were looking for a piece of specific information on a website, but the information was nowhere to be found? We’ve all been there. But now such situations can easily be eliminated due to chatbots. How? Well, you can use a chatbot to easily search for any piece of information that may interest you on a brand and get it within a few seconds. Tempting, isn’t it? Well, it kind of is, and with that in mind, I think it’s safe to say that we are at the beginning of a chatbot invasion in e-commerce. After all, chatbots offer enormous potential for e-commerce. How? It’s simple really. Customers now expect 24/7 access to everything they are interested in online. This includes even a support agent with the ability to answer questions and resolve potential problems customers might be facing during their online experience. Why is it so important to meet your customers’ needs in such a way? Because if users can’t find the product they are interested in or have unanswered questions or problems, they will simply abandon your website. Such abandonment will obviously affect the conversion rate of customers that in the right context may have actually purchased your products. When it comes to e-commerce, a chatbot that interacts with customers and has the ability to actually remember those customers from their last visit is the perfect marketing tool to increase conversions and generate leads, not to mention close sales. According to research, users seem to be more and more prepared and willing to make online purchases with the help of a bot. Therefore, by implementing a chatbot will place your brand where your customers hang out, which is basically online and on their phones, and mostly on social media. Veto Pro Pack is just one of the companies that are using an e-commerce chatbot to help them connect with their customers. 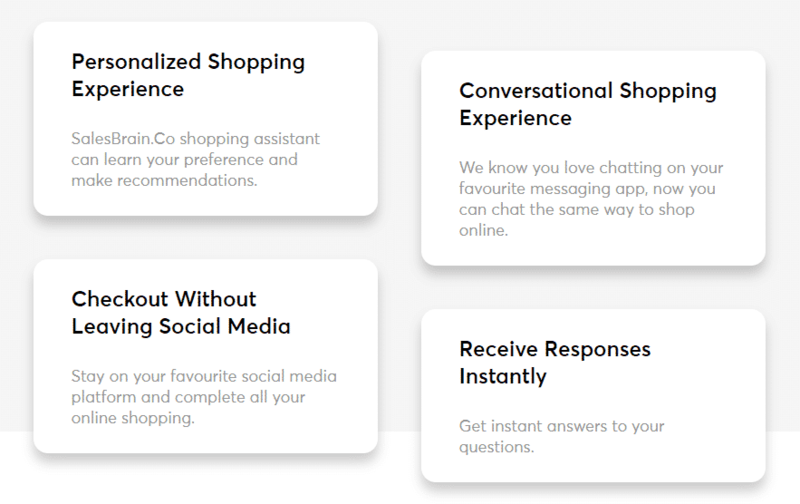 And here’s another example where a chatbot helps in connecting with customers easier and faster from Captain Notepad. As you know, the main functionality of social media is to drive leads. If that’s your goal as well, then chatbots are the way to go. In fact, according to research, the chatbot conversion rate turned out to be 266% higher than the average social ad. How do chatbots work with different social media platforms? Although some are already predicting the death of chatbots, Facebook expects more marketers to come on board. 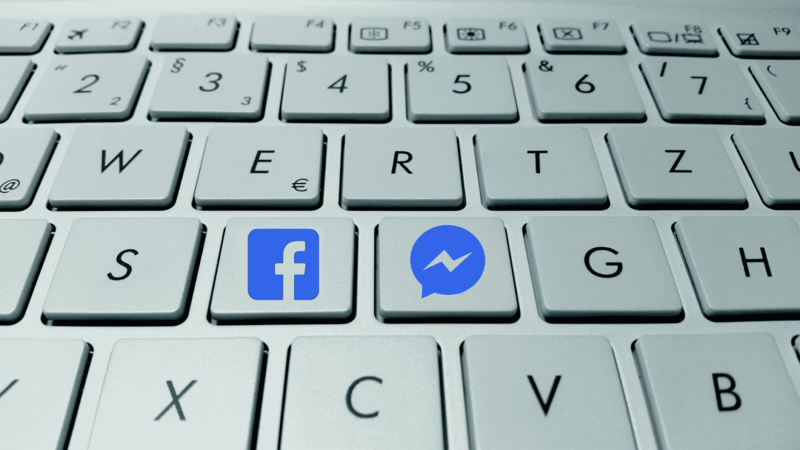 The head of Facebook messenger, David Marcus, published an article earlier this year explaining that using live chat as a marketing channel is no longer a case of if – but when. “People expect to find businesses with some sort of messaging experience – whether it’s a live chat functionality or something more complex like a complete platform experience on Messenger. But over the last year, we’ve heard from more and more marketers that they know that messaging is the next great channel – but how do they get started? We’ve been encouraged to see that bigger brand names are bringing a presence to Messenger (LEGO, Katy Perry, Apple Music) which signals the acceptance from CMOs that it’s time to create a unique and effective experience that can reach more people at scale. Look for investment in rich messaging experiences not only from global brands, but small businesses who need to be creative and nimble to stay competitive,” he wrote. Each month, Facebook Messenger has more than 900 million active users. And over the past few years, Facebook chatbots have been attracting attention because of their ability to hack into micro-targeted audiences. Well-known brands and innovative marketers have been using it to interact with relevant consumers on Facebook in a personal way. Big brands like Disney use it to create a memorable and immersive experience. Its Zootopia chatbot allowed children to solve crimes with the movie’s fictional characters, which proved to be a very engaging way to interact with fans. 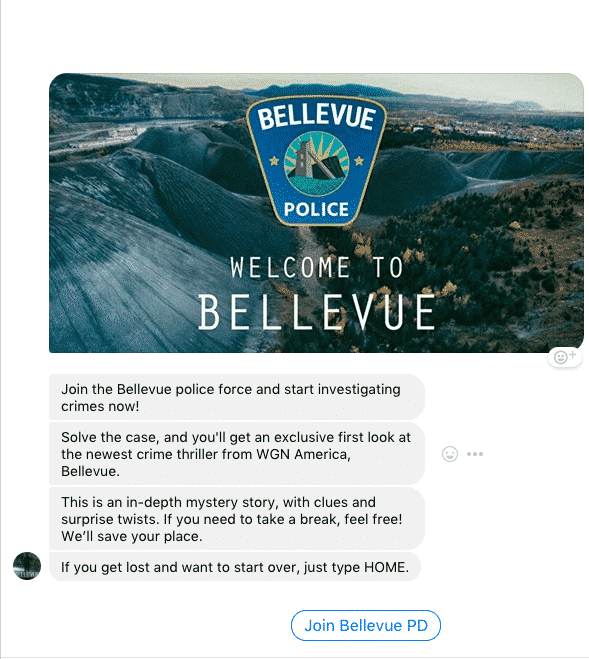 While the TV network WGN America also created a detective story chatbot for Facebook Messenger to promote the premiere of its series Bellevue. 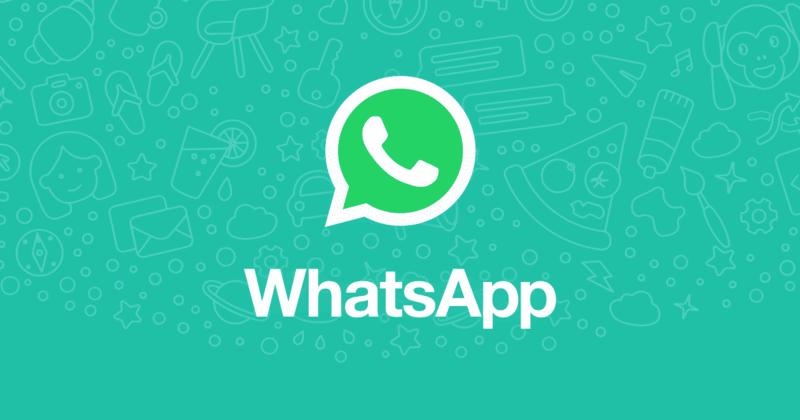 With over 1.3 billion users, messaging app, WhatsApp has emerged as an important channel for both personal and business communications. Check out this Google Trends report about how many times the query “WhatsApp for business” was searched. Notice the spike that began in 2017. Over 80% of small businesses in both India and Brazil say that using WhatsApp for business benefits both the customer experience and their business goals. Since customers are already comfortable using WhatsApp to share fast messages with friends and family -there is no learning curve to start chatting. While many brands are using chatbots to start conversations with consumers, some are so fun and entertaining that people are swarming to initiate the exchange. For example, Hellmann’s Mayonnaise recently ran a campaign for WhatsApp where the bot asked fans to send in snaps of the ingredients in their fridges. Those who got in touch then received recipe suggestions about what they could make with them – Hellmann’s was a key ingredient in each of course. 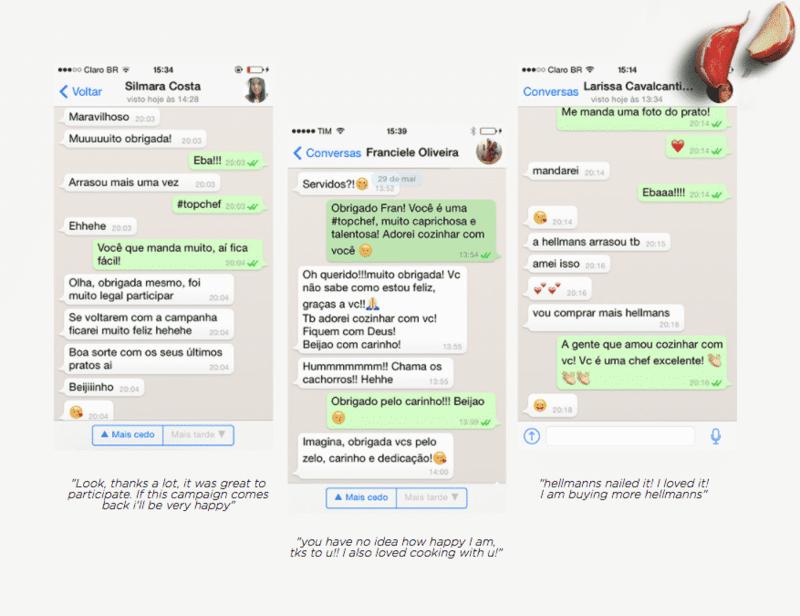 After its launch in Brazil, the WhatsCook service received a 99.5% approval rating from over 13,000 users demonstrating just how valuable users found it. Since then, it’s been rolled out in Argentina, Chile, Uruguay, and Paraguay. The campaign saw over a billion people from 180 countries interact with Hellmann’s chef-bot. Using Twitter as a conversational marketing tool is great. What’s also great is when you know the right way to do it. You may have already heard about Twitter’s reputation for marketing spam. Why does this spamming happen? Well, it happens because companies use their Twitter account mostly for self-promotion. Which would be fine except some go so far with the self-promotion that the entire tweet stream becomes identical to spam. This is clearly not ok and it’s certainly a sure way to lose followers… fast. Well, Twitter Chatbots seem to be a must for branding, customer success and in your sales strategy. Why? The simplest reason is the fact that Twitter has traffic. It has a real-time data insight and it offers the opportunity to launch an interactive campaign. And guess what? Marketers who want to engage with their customers, increase sales and build brands are more and more interested in Twitter. And that’s why Twitter chatbots should probably become a key part for companies that are interested in successful customer service and implementing smart sales strategy. The bottom line is that integrating chatbots into Twitter would most probably benefit your customers. A bot on Twitter could easily assist any of the customer’s needs at any time of the day – which shows care and professionalism. And let’s not forget the one to one conversation you can have with your customers in order to understand their needs and pain points – and meet those needs as well as provide a solution for their problems. And Twitter can be great for this. Now if you are interested to build your Twitter bot, now you can. Find out how to create a Twitter chatbot, here and here. 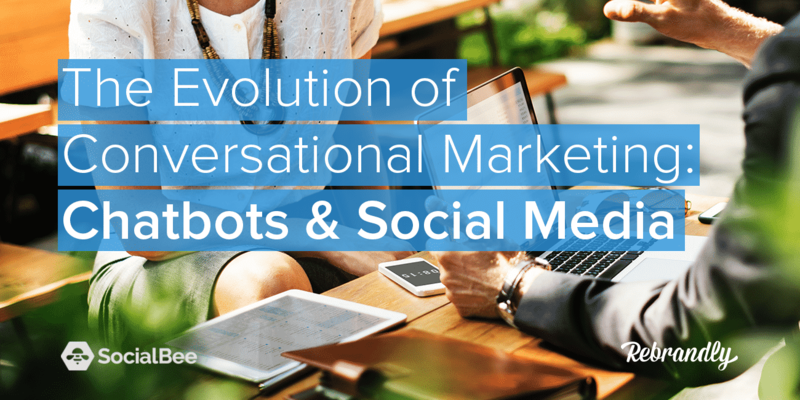 “As with any digital marketing strategy, conversational marketing will evolve across the major social media platforms as each provides different opportunities. 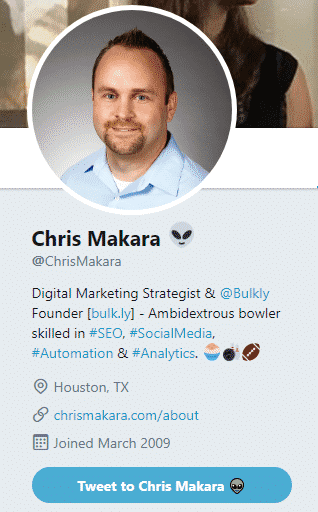 While I feel Facebook is leading the way for the best opportunities around conversational marketing, let’s take a look at opportunities for this on Twitter. For much of Twitter’s history, it has been a platform where a large majority of users blast out anything and everything – without monitoring conversations and interactions that take place from those tweets. An approach like that is the opposite of conversational marketing. 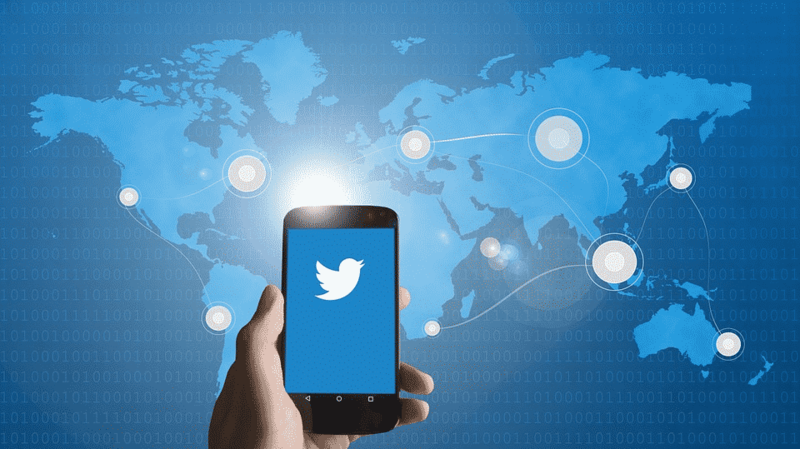 So while Twitter might not be thought of the go-to platform for your conversational marketing campaign, there are definitely opportunities for it. In its bare form, to me, conversational marketing is really about having a conversation with someone else on a one to one basis. One where the person on the other end has your undivided attention as do you. And this can easily be done on Twitter. But before you start, it’s important that you have the mindset that no one cares about you – they only care about what you can do for them. So with that in mind, you’ll need to be sure that your messaging is centered around how you fully understand their pain points and how you can help alleviate their problems. So how can you help people on Twitter? One of the best opportunities for conversational marketing comes from customer support issues as these people are already looking for some help. Many companies have dedicated support teams to handle these interactions. A company that does this very well is Buffer. They are constantly monitoring Twitter for their brand and have employees who step in and make sure no tweet goes unnoticed. Many times the issue is resolved directly on their public Twitter timeline, while others are taken to direct message. All social platforms out there are clear proof that people love to share. But what do most people like more than sharing? Chatting. It’s also quite obvious that Instagram’s growth and constant introduction of new features have made this visual app a great force for brands out there. 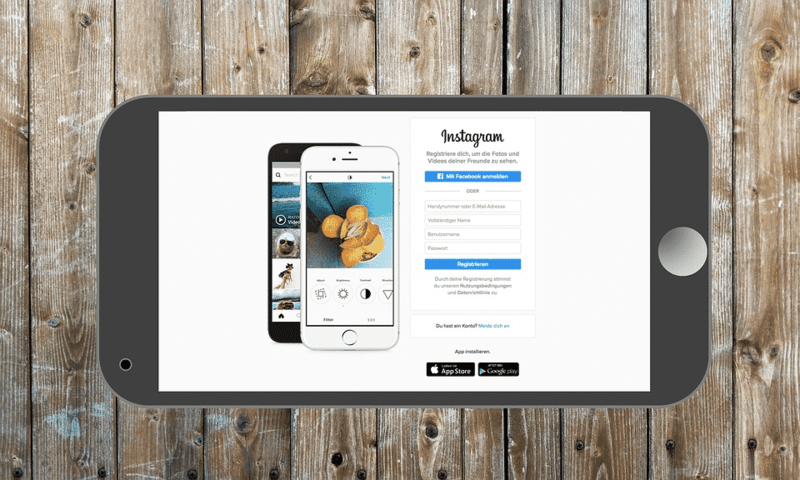 What about chatbots on Instagram? Well, by adding branded chatbots, Instagram would allow brands and businesses to go beyond just ‘hearts’ and move into personalized commerce, immediate customer support not to mention increased customer engagement and success. My guess is that customers all over the world would simply love it. And you as a brand would love it, too. Businesses, brands, and influencers are bound to answer thousands of DMs a day. And guess what? Most of these messages are the same questions, only they come from different users. The problem with direct messages, however, is that they don’t allow you to group the customers and keep a full record of the messages you get. And, when you are delaying answering those direct messages, you may find yourself in the unpleasant situation of losing some of your customers. Additionally, the initial Instagram message you got might not even reach the destination at all – before the possible customer gets the chance to read it, it gets into the messaging requests, where it can stay for an extended period of time. And that’s not ok, not if you are interested in real customer success. Now even though Instagram hasn’t really shown interest in providing ways to implement bots into the platform, there are companies interested to make a way. As it turns out, with SalesBrain.co you can automate your sales scripts via the Instagram-bot. This bot provides fast replies and it is also capable of more than just holding a dialogue. Gather data about your clients – the benefit is that you can analyze this data and segment the audience based on the data on sales, the users’ location, and their interests and needs. It will not miss a late answer – not even if a user replies in 2-4 days, at night. Send to your customer a push notification – with questions, express objection or response and work it through – in case the conversation does not end in a sale. It can offer cheaper options for a product or notify your customer about a new product – which can many times end in a possible sale and would show care towards your customer. As a result, your struggle with Direct Messages and Instagram comments would end. Well, Facebook has already made it pretty clear that businesses and brands love Messenger Chatbots, so the introduction of smart AI chatbots on Instagram may just be a possibility soon. Until then, you can simply connect your Facebook Messenger to Instagram. Check out more chatbot templates, here. Depending on your industry, LinkedIn is a great source for discovering leads. Why do people join LinkedIn? Simple, to display their career achievements, work experience, and to find information that would make their professional lives grow and become better. 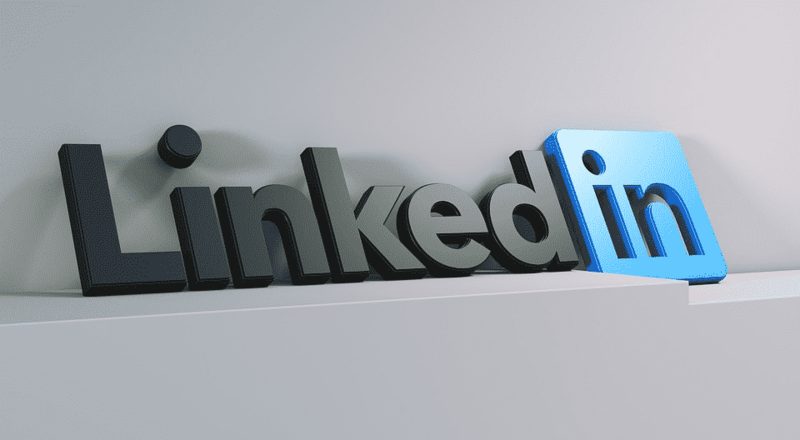 So, the bottom line is that LinkedIn is the leading social network for B2B traffic and lead generation, not to mention an excellent platform for new career opportunities and recruiting. What about conversational marketing and chatbots on LinkedIn? Well, as you may have heard, LinkedIn has made important updates to Groups, created the possibility for native video functionality for company pages, launched a Vimeo integration, and have even launched its own Snapchat Stories alternative. 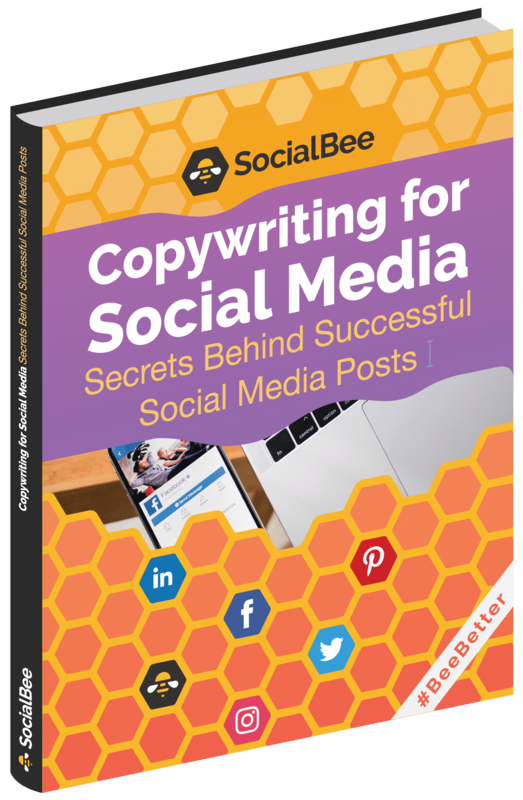 The purpose of Snapchat Stories-style slideshows on LinkedIn is to reach and become more relevant to the younger audience. 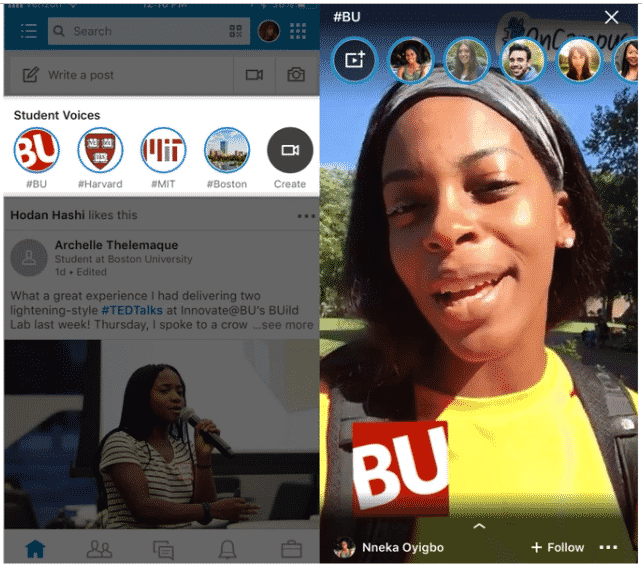 They first started with “Student Voices” just for university students in the U.S., however, it seems that LinkedIn plans to build Stories for more sets of users. So, it clearly seems that LinkedIn is evolving for a younger workforce. And… the platform is also clearly changing. 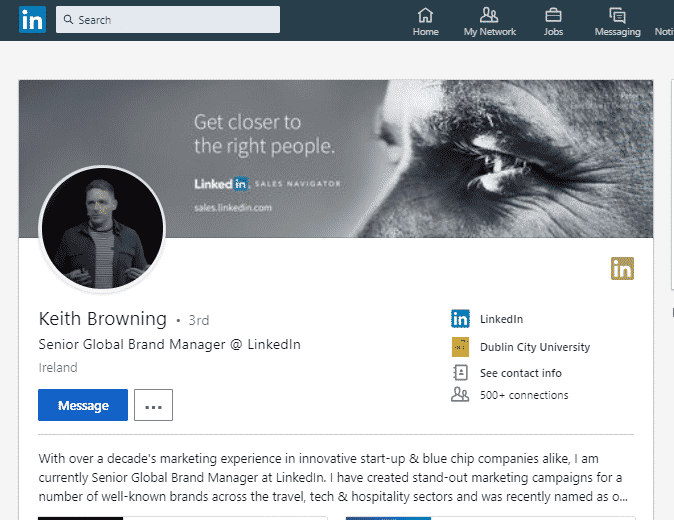 A LinkedIn spokesperson told TechCrunch about the reason behind this new feature, which is basically to get students to share their academic experiences such as internships, career experiences as well as class projects that they would want to show off to recruiters as part of their personal brand. … As well as the prompt messages that pop up as reply suggestions. What does the integration of stories into LinkedIn tell me? Well, it speaks loud and clear that besides the useful functionality of a story, the younger generation (younger users) want a more human interaction on the social platforms, and that includes LinkedIn. A ‘more’ human interaction on social is basically the ability to express yourself openly and create unrehearsed ad-hoc content through stories. The result? Trust is built. Because that’s the effect of close, in-person human interaction. And yes, this is a different kind of relationship building opportunity amongst LinkedIn’s users, too. So, it seems that conversational marketing is happening even on LinkedIn. Who would have thought, right? The bottom line is if your audience is on LinkedIn make sure to meet their needs and wants by investing time in creating stories (when the time comes), invest time in videos. Whatever it is, stay updated and adapt to the changes. One thing is clear, video creation and conversational marketing is an essential part of building trust with your audience. What about chatbots? Will LinkedIn go for chatbots on their platform? Wondering when and if LinkedIn will ever launch a complete bot? They haven’t given much info about this issue. However, if we consider the fact that LinkedIn is now owned by Microsoft, who now (don’t forget what happened to Tay, Microsoft’s AI chatbot…) invest in making sure that a bot is perfect before launching it, who knows? A bot may be on the way soon. Anyway, bots are clearly the future, so if LinkedIn wants to keep up with the newest trends, it will surely allow some alternatives of bots to customers. Until then, you can simply connect your Facebook Messenger to LinkedIn. 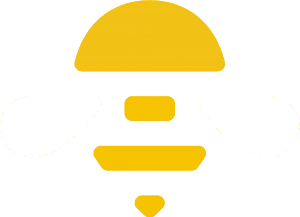 Check out more chatbot templates, here. So, in case you are using content on your social platforms to get people to your site or to a specific landing page on your website, then chatbots are an excellent way to convert those visitors. Be smart, don’t spoil your conversion rates just because you aren’t in line with today’s latest trends your customers want so much. I mean sometimes it’s so much easier to chat with a bot and keep things simple than to pick up the phone and call the company for what appears to be a simple request or question. Consider it this way: it doesn’t have to be either/or – as a brand, you can opt for using chatbots to just add to your human workforce, not to replace your workforce. It seems like it could be a balanced decision to do so. Chatbots can’t really replace phone or email when it comes to providing in-depth answers to technical questions. Which means that there are certain things that will always require a human touch. However, chatbots may just be destined to become the new apps. 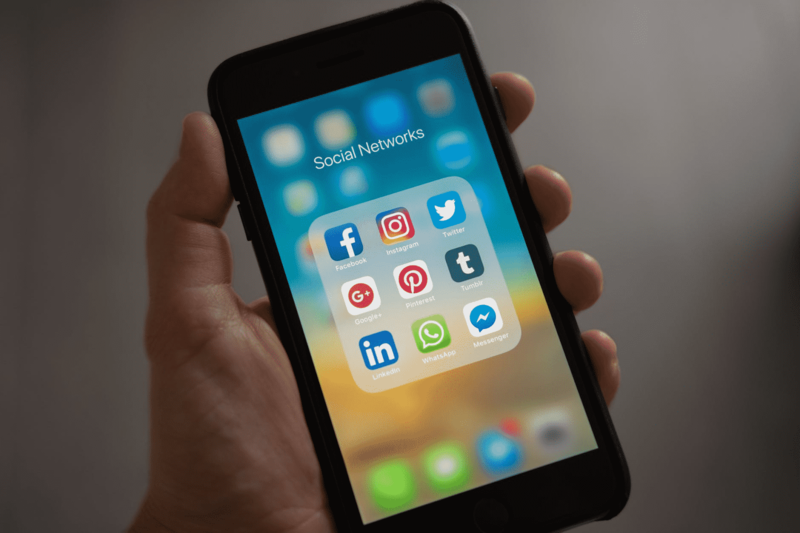 The bottom line is: when using social media marketing, a chatbot can add extra value to your social media marketing strategy and act in the advantage of your brand. A chatbot on your social platforms can also help to automate the customer service part of your business while driving traffic to your company’s website. The result? It can help to turn interested visitors into loyal buyers. If you are interested to learn how to create a chatbot, I recommend you check out Bot Academy, where you’ll learn how to generate more leads and close sales with… you’ve guessed it: chatbots. The goal of using chatbots on social media should be to make businesses feel personal again. How do we do that? Simple. Through conversational marketing. By adopting conversational marketing, sales, as well as marketing teams, will have a fantastic way to have real-time, scalable conversations that close leads faster. Nowadays, what consumers are looking for is to find the information they are interested in online fast and easily. The entire process needs to be simplified. The problem is that if you can’t provide such an experience as a business, your customers or consumers become frustrated and annoyed – which isn’t beneficial for your business. The solution? Chatbots could have what it takes to simplify things and raise customer satisfaction to a whole new level. How? Well, by simply providing the real-time, on-demand approach that consumers actually need and want. The bottom line is, chatbots are an excellent tool to use in your social media strategy. So don’t forget that the 3 essential elements of conversational marketing are your friends in building a successful brand: social media, interactive and valuable content, and live chat (direct conversation with your customers using chatbots). 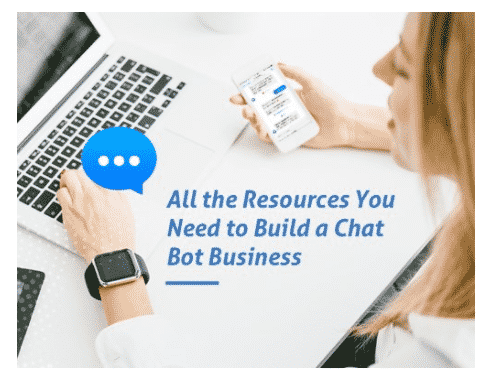 And if you haven’t already, make sure you also check out the first two articles in this series (written in collaboration with our friends at Rebrandly): The Website Chatbot and Best Chatbot Uses for Business. Download for free the book + with additional checklists here. 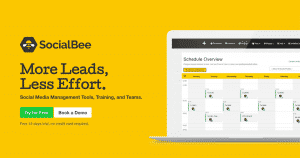 Have a one-on-one call with a SocialBee Specialist.